Our technical team can help to design, modify and reverse engineer to your specification. R Baker (Electrical) Ltd have a dedicated in-house product manufacturing team who design, manufacture and supply an extensive range of certified AC/DC power supplies for use across a range of sectors including hazardous areas. Our design and manufacturing team custom build AC/DC power supplies and have the latest design capabilities, test facilities and the latest electrical AutoCAD design software. Our fully equipped workshop is staffed by experienced electrical engineers who are based at our manufacturing facility in Liverpool. They, together with our team of project engineers enable us to offer you a complete solution to your AC/DC power supplies requirements. Having a vast amount of experience we custom build a wide range of control panels from small pump starts, to one off bespoke testing panels for specific applications. Using standard electrical enclosures or purpose-designed enclosures, we can offer assembly which involves any combination of conventional power supply equipment and bespoke designs. Our fully qualified personnel work to the highest standards in panel wiring and assembly; ensuring full functionality and ease of use. 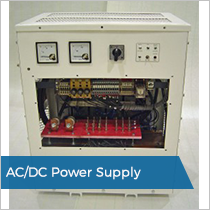 AC/DC power supply range include input & output voltages, ripple voltages, power ratings and different forms of protection can be provided to meet specific requirements. All are certified to the latest BSEN61439 standard. R Baker (Electrical) Ltd also offer a full electrical installation service; which ensures our team offer you a full design, manufacture, and installation service working to the latest industrial standards. Our dedicated team offer our customers unrivalled service for time and cost efficiency for the manufacturing of control panels. VT Shipbuilding launched Mirabella V in 2004. At 246ft she is the world's largest single masted yacht, and the biggest composite ship ever built. She is currently in service as a charter vessel, operating mainly in the Mediterranean and Caribbean. Our client required a solution to offer a varying voltage and protection. 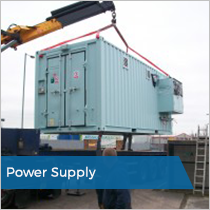 In 2012 we worked in partnership with Babcock Marine to design and manufacture a 20 ft container to house a UPS system, transformers, circuit isolation and four distribution panels which would sit onboard HMS Albion while in dock. Our team had 14 weeks to complete this job and help install the equipment onboard in Plymouth.